A Journey Through Learning specializes in lapbooks, unit studies, copywork, and notebooking pages. Most of their lapbooks and unit studies include an in-depth study guide. AbeBooks is an online marketplace where you can buy new, used, rare and out-of-print books, as well as cheap textbooks. They connect you with thousands of professional booksellers around the world and millions of books are listed for sale. Shopping on AbeBooks is easy, safe and 100% secure - search for your book, purchase a copy via their secure checkout process and the bookseller ships it straight to you. If you're looking for something to keep your preschooler busy while homeschooling your older children, Activities in a Bag is worth checking out! All About Learning Press offers All About Reading and All About Spelling programs that are complete, comprehensive, and based on the Orton-Gillingham approach and the latest research. All About Spelling is a seven-level program created to take the struggle out of spelling. All About Reading consists of eight levels and begins with Level Pre-1, which gives your child the best possible start in learning to read. Alpha Omega Publications (AOP) offers affordable and time-tested homeschool curriculum for grades PreK-12. With print-based, computer-based, and online formats, their innovative line of curriculum includes Monarch™, Switched-On Schoolhouse® (SOS), LIFEPAC®, Horizons, and The Weaver Curriculum®. Amazon, we're sure you've hear of them, is America's largest online retailer. Its product lines include books, school supplies, music CDs, videotapes and DVDs, software, consumer electronics, toys & games, musical instruments, industrial & scientific supplies, and just about everything else under the sun. A great resource for buying new and used items for less. Barker Creek sells educational products such as curriculum, thematic unit studies, classroom supplies, and more. Barnes & Noble.com offers online customers a premier destination for books, eBooks, magazines, toys & games, music, DVD and Blu-ray, video games, and related products and services. Barnes & Noble.com became a leader in eBooks upon launching NOOK, the most advanced eBook reader featuring lending technology, a color touchscreen and lets readers download books in seconds. Beautiful Feet Books provides quality products to homeschoolers. They integrate the best works of children's literature into all aspects of the educational curriculum by publishing noted authors and study guides that enable parents and teachers to incorporate those works easily into a comprehensive study. Bright Ideas Press publishes Christian-oriented curriculum such as The Mystery of History series, Hands-On Geography, Illuminations, and WonderMaps. Their curriculum is both affordable and easy-to-use with children of different ages at the same time. Broderbund is your source for quality, easy-to-use software at an affordable price. Broderbund offers leading family software for Education (Oregon Trail, Carmen Sandiego), Typing & Keyboarding (Mavis Beacon Teaches Typing), Design & Print (The Print Shop, Print Master), and more. Your source for high school lab manuals and real science for all ages! Great e-books and unit studies. Christian Book Distributors offers an enormous selection of homeschool and educational products at an excellent value, with strong customer service and support. This link will take you directly to Christianbook.com's homeschool curriculum page. Classical Home Education is a non-sectarian curriculum supplier with no political or religious agenda of its own. CHE provides carefully selected quality and diverse products so you can create a classical curriculum that is right for your children. Used by Schools and Homes in Over 100 Countries for 6 Years! The Only Programs Guaranteed To Teach Your Child To Read And Spell Or Your Money Back! Connect The Thoughts™ is dedicated to creating methods and complete homeschool and classroom curricula that will truly make a hands-on, thorough education available. They offer a secular, religion-friendly core curricula for ages 5-adult. They currently focus on and offer core curricula for home schoolers and schools broken into five groups; pre-literate students and ages 5-6 (STARTER), beginning literacy students and ages 7-8 (ELEMENTARY), literate students ages 9-10 (LOWER SCHOOL), literate students ages 11-up (UPPER SCHOOL); and literate continuing adult education (UPPER SCHOOL). If you have been considering using the Core Knowledge curriculum, look here for frequently asked questions as well as links to the curriculum and homeschoolers network. Covenant Home Curriculum provides a complete, eclectic, classical approach, Pre-school through 12th grade curriculum for home educators with a reformed Christian world view. 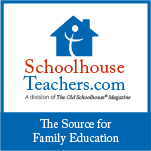 Your one-stop shop for electronic lapbooks, affordable curriculum, and homeschooling resources. Unit study, novel study, and bargain home study online downloads for home education!